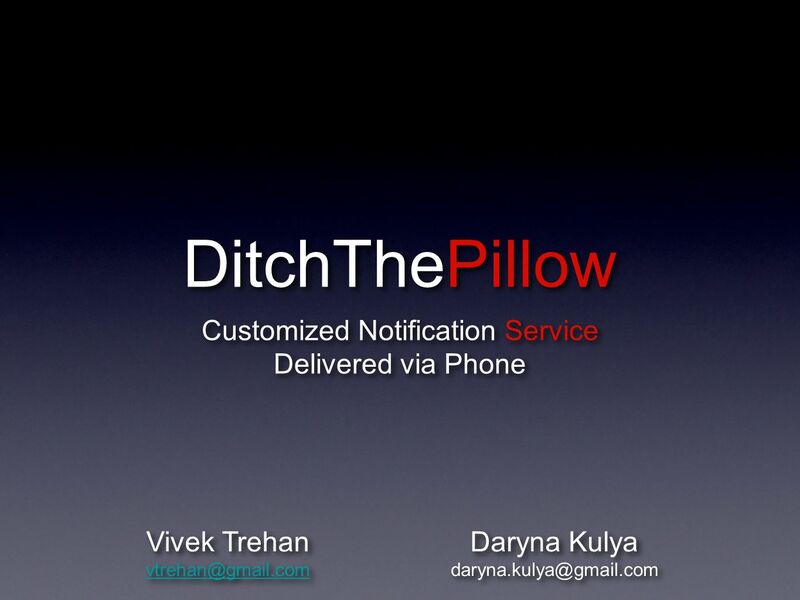 DitchThePillow Customized Notification Service Delivered via Phone Daryna Kulya Daryna Kulya Vivek Trehan. 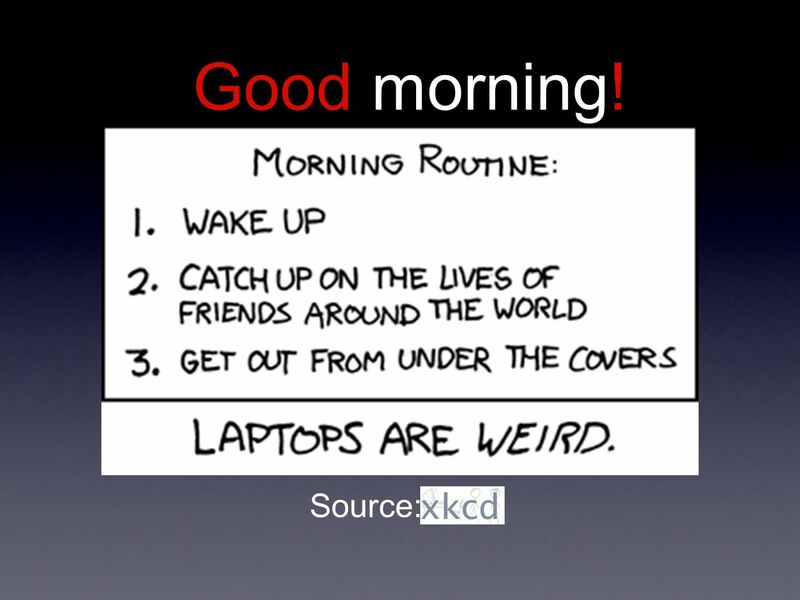 2 How does your perfect day start? 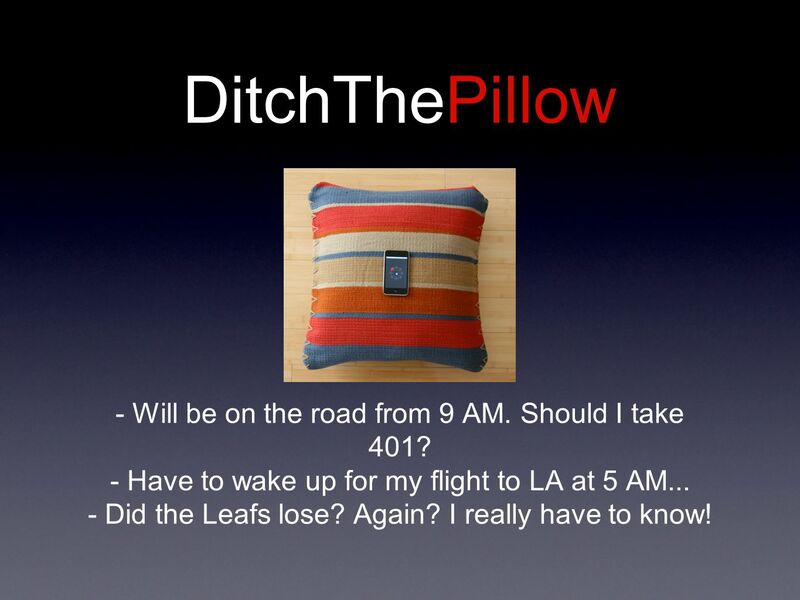 5 DitchThePillow - Will be on the road from 9 AM. Should I take 401? - Have to wake up for my flight to LA at 5 AM... - Did the Leafs lose? Again? I really have to know! 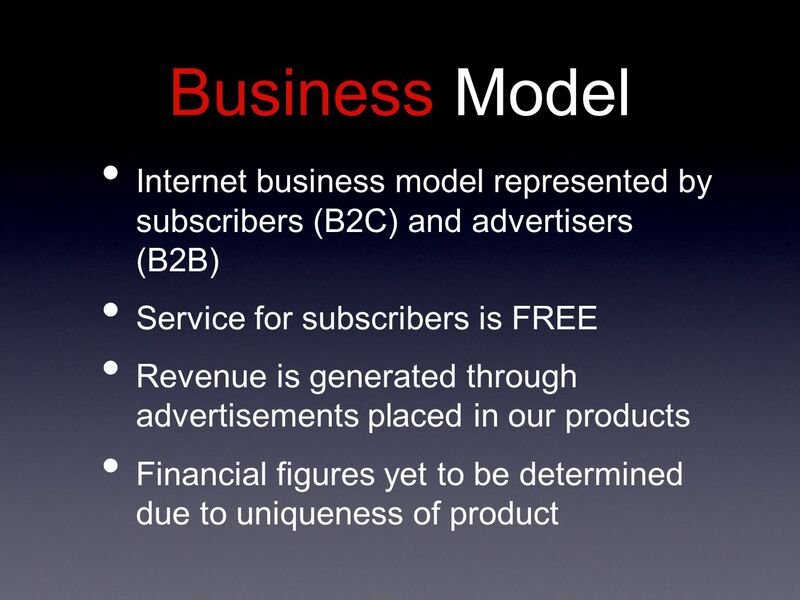 8 Smartphone hype and the reality 50 million with packaged data services What about the rest 1.2 billion? 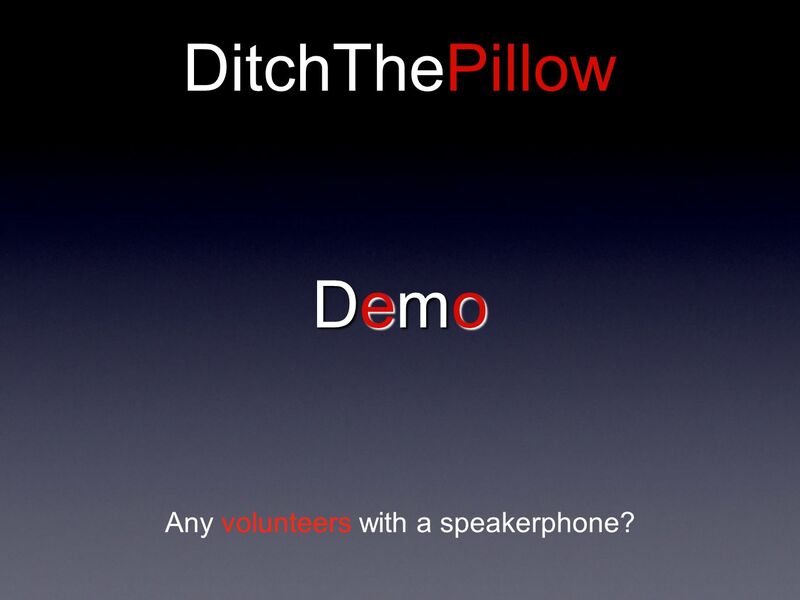 11 DitchThePillow DemoDemoDemoDemo Any volunteers with a speakerphone? Download ppt "DitchThePillow Customized Notification Service Delivered via Phone Daryna Kulya Daryna Kulya Vivek Trehan." Spongecell ADS 1 Presentation By: Vikram Bhaskaran Daniel Feiner Andres M. Morón Shyra Smart Robert Tolson Building. Patricia McEachern Kershen Bissette Cathi Brisart. Kristen Courtney Cecily. Started in 2004 Today it’s the world’s largest travel search site Like a travel site they have flights and hotels, but we’re. 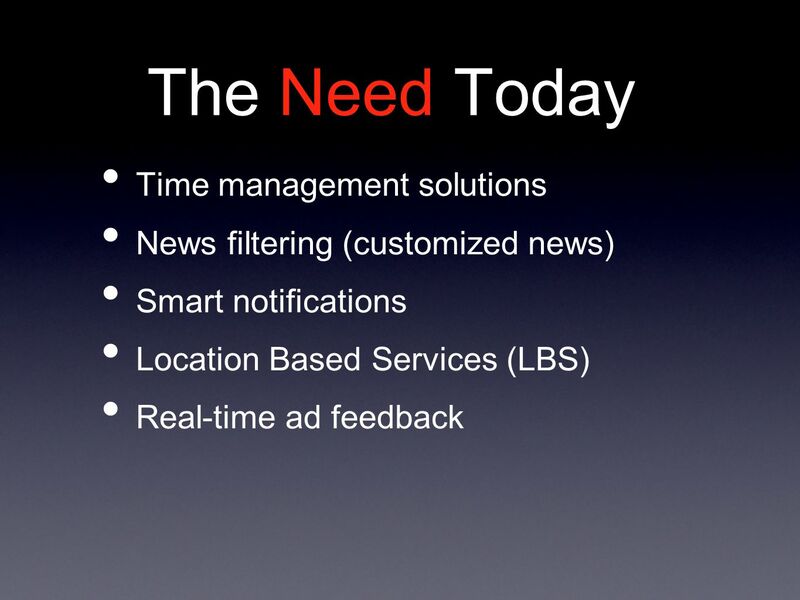 Online applications and mobile marketing. What if we don’t have a mobile phones? 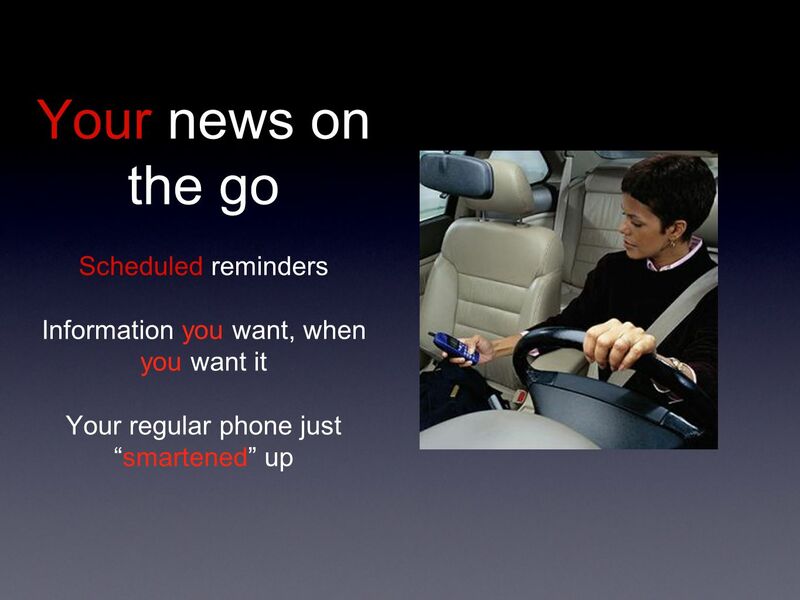  Can you imagine what the world was like without mobile phones? 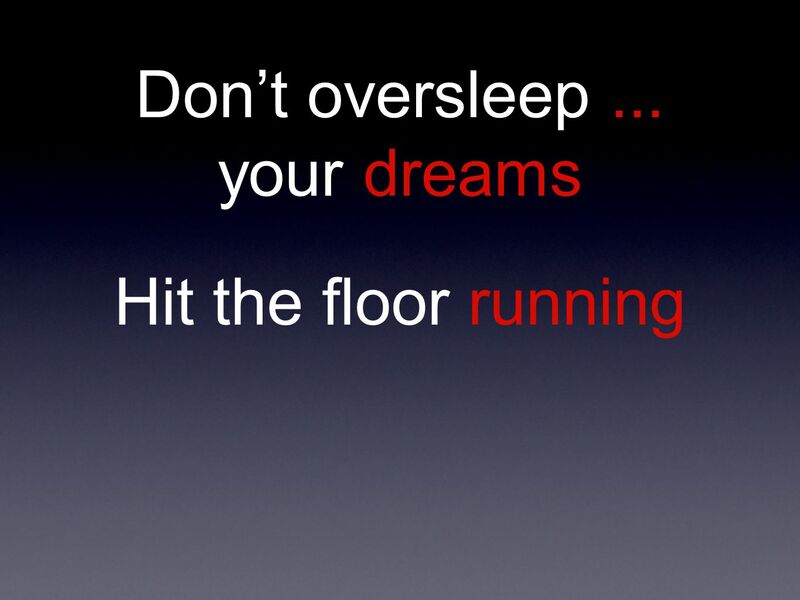 Say. “There is one, single, overriding message when it comes to contacting leads generated from online lead sources. 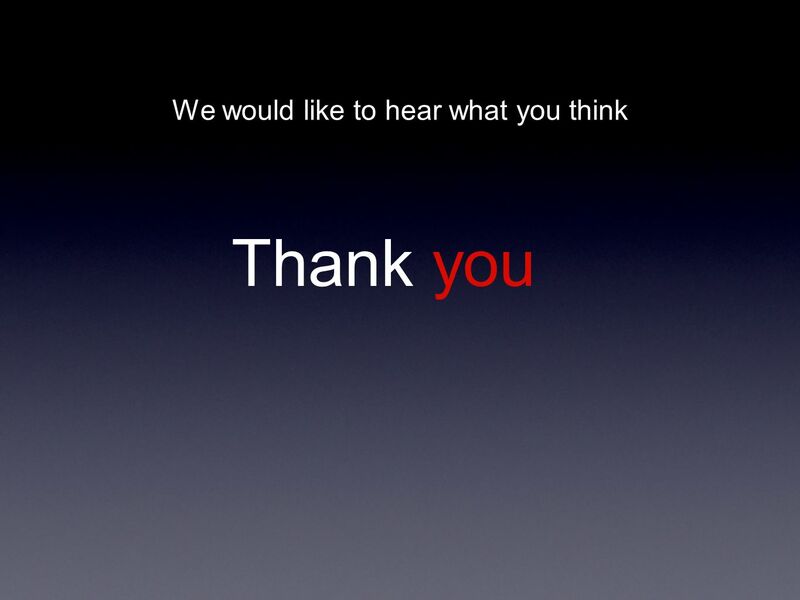 Every second counts.” Internet Lead Response. 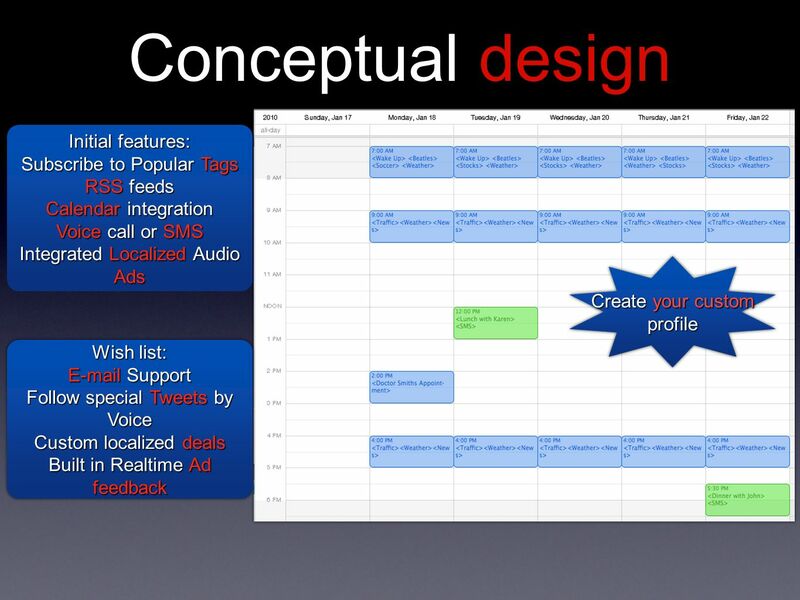 Marketing Bunder M. Shageer Individual Project COM 359 Digital Media for Strategic Communication Dr. Hammick. Identifying & Targeting Buyers in a Digital World Kevin Oldham Vice President United Marketing Services.